FAQ: What are Grandparents' Rights Regarding Grandchildren in California? Grandparents and grandchildren can have very special relationships. In California, a grandparent is one of the few people who has a right to petition the court for a legal court order stating that the grandparent has the right to spend time with a child. There are strict laws surrounding grandparents’ rights in California, and not every grandparent will be granted the right to visitation with a grandchild. It is important to discuss your case with an attorney prior to making any decisions, because it can be harmful to your grandchild and his or her relationships to initiate a legal case that turns into a battle. Because of the potential harm to family relationships, including the child’s relationships, it is usually best if a parents and grandparents can work out their differences outside of the court. There may still be a court order in place, and attorneys or mediators can help when working through differences, but coming to an amicable agreement is usually better for all parties than going through the court system. If you have questions about family law mediation or custody mediation, contact an attorney to discuss your situation. 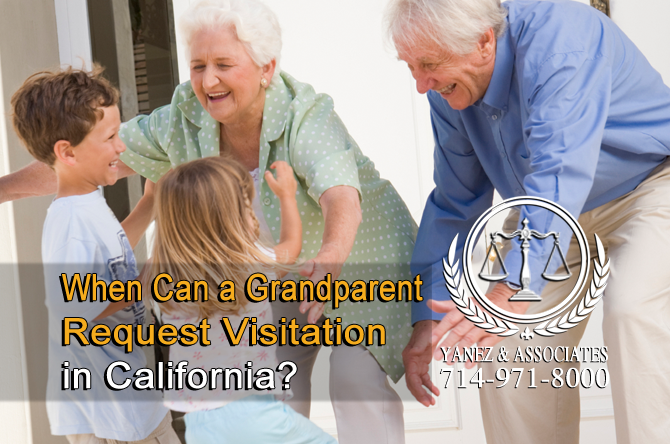 When Can a Grandparent Request Visitation in California? When Can I as a Grandparent Request Visitation in California? 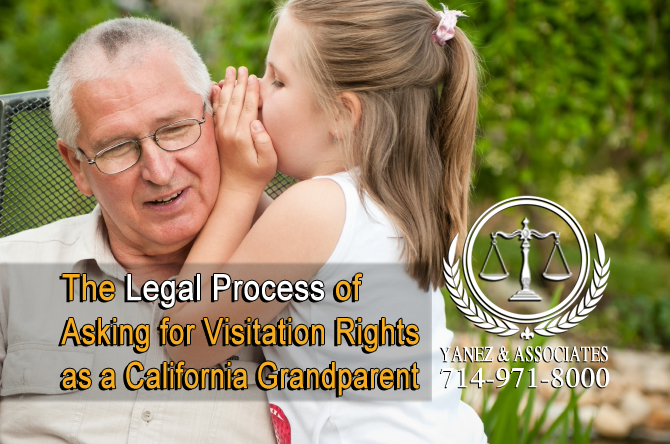 There are restrictions on the situations in which a grandparent can request visitation in California. The law allows a grandparent to ask for ‘reasonable visitation’, which can be determined by the judge who presides over the case. In order for reasonable visitation to be granted by the court, the following two points must be shown to be true. • There must be a pre-existing relationship between the grandparent and grandchild. This pre-existing relationship must have ‘engendered a bond’ between the grandparent and the grandchild, meaning that the continuation of the relationship would be in the best interest of the child. • The child’s best interest, which includes having a relationship with the grandparent, must not interfere with the rights of the parents. These parental rights include making decisions about the child, for example, with whom the child may spend time. Usually, if the parents are married and living together, the second point above is hard to show. Because of the parents’ rights, a grandparent can not usually ask for visitation rights while the parents are married, except in specific situations, like these. • If either parent is incarcerated, or has been involuntarily institutionalized, a grandparent may be able to successfully request visitation rights. However, if a grandparent requests, and is subsequently granted visitation rights through one of these exceptions, it is possible that the situation could change, rendering the court order invalid, and the grandparent’s right to visitation can end. At that time, a grandparent may ask the court to modify the court order or to extend the visitation rights, but the decision will be up to the discretion of the judge at that time. When determining whether to grant visitation rights to a grandparent, the court will also take into consideration any protective orders that have been put into place. If a protective order was taken out against a grandparent, it may not be in the child’s best interest to spend time with that grandparent. If there is already a child custody order in place, depending on whether one parent has sole custody, or both parents share joint custody, the amount of time that a child will spend with a grandparent will be determined based on the California state guidelines. The grandparent may also be required to pay child support, or, the grandparent may be eligible to receive child support payments from either parent. If you have questions about child support or the amount of visitation that may be granted to a grandparent, ask a child support attorney in California. In the case that one of the child’s parents is deceased, a grandparent may request visitation with the grandchild, and it may be granted under California law as long as it is in the child’s best interest. In this situation, the deceased parent’s other children, siblings, parents, and grandparents may also request visitation with the child, meaning that the child’s grandparents, great-grandparents, aunts, uncles, and older siblings may have visitation rights as well. 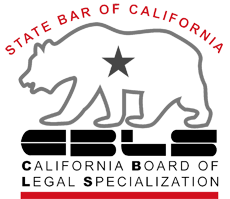 How do I begin the Legal Process of Asking for Visitation Rights of my grandchildren in California? Once you have determined, with the help of your attorney, whether you have a shot at grandparent visitation, you, as a grandparent, can ask the court to grant you a court order that includes the terms of your visitation rights. The next, often difficult, step is determining how to file your request. If there is already an open case regarding your grandchild or his or her parents, like a divorce, a child support case, or a domestic violence restraining order case, you may be able to request visitation through one of these cases. If there is no existing case, you may have to start from the beginning. If you need help getting a case started, you can talk to an attorney or your local family law facilitator. Once you have a case open, you can fill out your court forms. There is no form specific to grandparent visitation, but check with your local court or with your attorney to make sure that you are using the right form. Usually, a form called a Request for Order can be used to explain to the judge what you are asking for, lay out a potential visitation schedule, and explain why you believe that visitation with you is in the child’s best interests. Have your attorney help you fill out this form that you can be sure you do it correctly and completely. Your attorney will be able to help you determine whether you need additional forms. Make sure that your lawyer looks over the forms before you move on to the next step. To file your forms with the clerk, you will need the original form, one copy for you, and one copy for each of the child’s parents. The clerk will keep the original and return the copies to you, marking them so that you know that the court has filed the original. Because it is usually in the child’s best interest, and the best interest of the rest of the family, to work out these kinds of issues outside of the courtroom, you may be given a mediation date prior to your court date. Mediation can be a great way to resolve issues on your own terms, while still utilizing professional advice. The parents have the right to receive notice of the legal action regarding their children, so your next step is to serve these papers on the parents, and then file your proof of service with the court. Depending on the case, you may have a few options on how to serve the papers, so make sure to discuss it with your attorney beforehand. Attending mediation and your hearing are also necessary in order to be granted a ruling in your favor. If you cannot come to an agreement during mediation, the judge will make a decision for you. The visitation order is not legally enforceable until a judge has signed it. There may be necessary steps following the signing of the order, so ask your attorney if you have more to do. Its time to contact an Orange County Grandparents' Rights Attorney to see what your rights are. The consultations are free; therefore, you have nothing to loose. If you have questions about the legalities behind grandparents and grandchildren spending time together, you have come to the right place. The lawyers at Yanez & Associates have experience in all things related to child custody and visitation, and we are here to help. Contact us today to schedule your free initial consultation. 2 When Can a Grandparent Request Visitation in California? California Visitation Rights for Grandparents, Grandparents rights in California, Grandparents Visitation Rights in OC California, Grandparents' rights under California family law, Need HELP with Grandparents' Rights Regarding Grandchildren in Orange County California, Orange County California Grand Parents Rights Lawyer, Orange County Grandparents Rights Attorney, The Legal Process of Asking for Visitation Rights as a California Grandparent, When Can a Grandparent Request Visitation in California?